Synopsis (from Author): Callie Michaels isn’t pretty or popular, but her singing more than makes up for all she lacks. And as long as she focuses on what’s really important, she can survive high school. But how can she focus with all the drama? Between her best friend’s odd issues and a daily dose of weirdness from the social elite, she’s starting to wonder if she’s the only normal one around. Just as her life begins spiraling out of control, the answer comes to her in a dream. In exchange for a token of blood, a demon will give her everything she desires. She says “yes.” From that point on, she finds herself changing, becoming something far from normal. Something dangerous. No one is what they seem—least of all her. While the supernatural creatures around her struggle to maintain their humanity, Callie slowly loses hers. She doesn’t even know what’s important anymore. Friendship, the future, love? And is there anyone who can make her care? "If I let you watch to make sure she's okay, you have to swear to be quiet and not tell anyone what you see." Do I have a choice? I arched my neck and studied his face. Still just James. Scary fast—or maybe I was just slow. Either way, he hadn't turned into a monster. And he was trusting me. I decided to return the favor and just watch the scene unfold. "It was one stupid little remark, you big jerk. Whoever ratted me out made a big deal for nothing." The man's firm grip on her hair arched Amy's head back and put a strain in her voice. "Damn it, Ethan, let me go!" Ethan. He had a name. "There is no room for stupid little remarks. One slip and you ruin things for us all. Submit, Amy. There's no point to you resisting any longer." "Go to hell!" Amy struggled against him. Ethan shook his head and turned her to face the wall. "You tempt me, Amy, you really do. Maybe I should reclaim you from my brother. Would that make you happy?" Slipping his hand from her hair and letting it hang over her shoulder, he nuzzled against the side of her throat. A growl rose from deep in Ethan's chest. He bared his teeth and set them into Amy's nape. My eyes went wide. I twisted my body and James tightened his grip. He whispered in my ear. "Listen." Purring. Amy was actually purring and rubbing her body against Ethan. You're going crazy. Ethan chuckled and let her go. "Good girl." He pressed a light kiss on her forehead. "Now get to class. I'll have your parents call the school so you won't get detention for being late." Amy nodded and gave him a shaky smile. "Thanks, Ethan." Before Ethan could turn, James was hauling me back, not stopping until we were in front of the school, out of sight of the parking lot. Crouched behind an evergreen, we watched a black, classic GTO pull out with Ethan behind the wheel. The car looked a lot like the one James had been driving before the Stingray. I stood and stared at James. "That's your brother?" "Half." James corrected and confirmed all at once. "We should really get inside." "After you tell me what that was all about." his back on me, James headed toward the front door. I ran to keep up. "Amy's not part of your family." Ew! "You guys are related? And your parents set you up?" He arched a brow at me and shook his head. "No. We're not related. Our families are just . . . close." He stopped, smiling like something had just occurred to him. "Come Friday and I'll tell you everything." Laughing, I shook my head. "You're so full of it. He's the reason for all the secrets. You're scared Ethan will find out if you tell me anything, aren't you?" A blotchy red blush spread up his cheeks. "Tell me he doesn't freak you out." Seriously? I laughed and tried to skirt by him. "I just watched him bite a girl after roughing her up—"
Before I could pass, James caught my hand and tugged me back. "He didn't rough her up. He was firm with her. There's a difference." I licked my bottom lip. "Tell me you're not okay with what just happened." He pulled the front door open. "That's how it's done." anyone calling in with an excuse for us being late. Which meant we'd both get detention. This was not my day. I rolled my eyes and made my way through the crowd that had spilled into the hall. I muttered, "That's how it's done. Yeah? Where? In the jungle?" "Yeah." James breath on my nape sent a chill down my spine. "Something like that." Natasha Rogue is a Canadian author who's been writing for most of her life. After penning novels behind math textbooks all through high school, she attended Dawson College in Creative Arts with dreams of becoming a screenwriter. The best teacher she ever had took her aside and told her to go back where she belonged. To her roots with the books she loved to write. Eternal Neverland (Steps Before the Fall) was one of her first complete novels. There are seven books in draft form completed in the series, but they gathered dust until experience and contacts with the right editors and crit partners gave them what they needed to be shared. 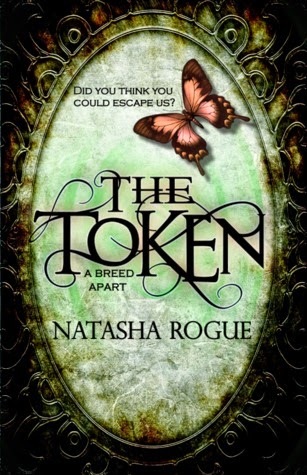 However, A Breed Apart: The Token, was released through a small press in 2012. The book will be rereleased shortly. 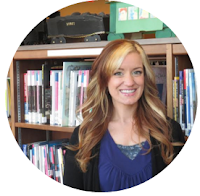 You may find Natasha at several signings throughout the year as she writes multiple genres. Don't worry, she doesn't bite. But she will happily chat with you about the hotties who do. And shamelessly admit to liking Charlie way more than she should.